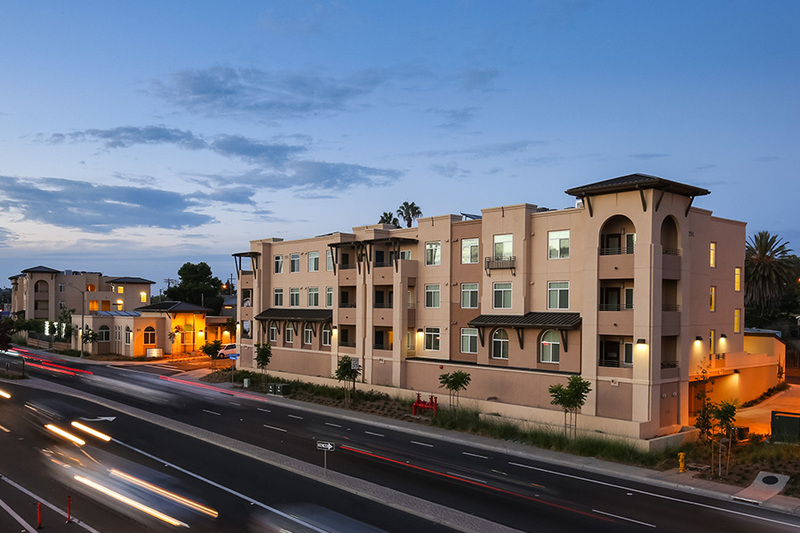 North Santa Fe Apartments is located directly across the street from the Vista Transit Station served by North County Transit District’s Sprinter train and BREEZE buses. 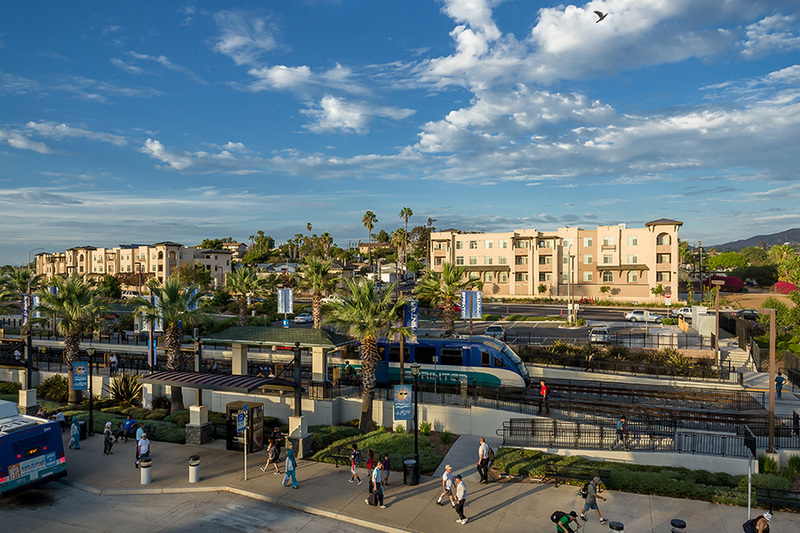 The 1.4 acre transit-oriented development is located in one of the few North County SANDAG Smart Growth areas. North Santa Fe became an early part of the thriving revitalization of Vista’s pedestrian-friendly urban village. Development of the project included substantial public utility relocation, improvement of the adjacent public alley, and remediation of industrial contamination. Solar thermal water heaters, and photovoltaic panels that support 50% of the common area electric load.